We’d love your help. Let us know what’s wrong with this preview of Eat This! by Andrea Curtis. To ask other readers questions about Eat This!, please sign up. Be the first to ask a question about Eat This! Curtis, A. (2018). Eat this! : How fast-food marketing gets you to buy junk (and how to fight back). Markham, Ontario: Red Deer Press. Sazaklis, J. (2016). Jumping for junk food. North Mankato, MN: Stone Arch Books, a Capstone Imprint. The possible content-area crossover for Eat This! is health/science. This title could be used while teachers are covering a unit on healthy and unhealthy foods. The fiction twin title I would use with this is book is Jumping for Junk Food (Billy Burger, Model Citizen Curtis, A. (2018). Eat this! : How fast-food marketing gets you to buy junk (and how to fight back). Markham, Ontario: Red Deer Press. The possible content-area crossover for Eat This! is health/science. This title could be used while teachers are covering a unit on healthy and unhealthy foods. The fiction twin title I would use with this is book is Jumping for Junk Food (Billy Burger, Model Citizen) by John Sazaklis (2016). I would choose this book because it talks about how a kid got a bad report at the doctor, so his mom starts pushing healthy food. This title would enhance the nonfiction title, Eat This!, because it shows the negative results of unhealthy foods being marketed towards kids. The result of the marketing is that kids suffer by gaining weight and everything that comes along with kids being obese. I would bridge the two texts by conducting a directed reading-thinking activity (DR-TA). Before the students read the nonfiction title, I would guide them on a picture walk of the first couple pages. On the first couple pages, the question of what is marketing is discussed along with how products are strategically placed in tv shows and video games. I would ask them what they predict the book is going to be about. I would then ask them “Why do you think so?”. I would record their observations on the board and then have the students read to the stopping point. I would do the same activity with the fiction text. I would then discuss with the students how the books are the same and why they think I paired the books together. A good book for showing young readers how they are being brainwashed by fast-food marketing strategies. Eat this! has tons of great facts about marketing and food to help kids learn more about how advertising can change their thoughts, actions, and health through manipulation. Curtis discusses how people can change laws and what some people, states, companies, and countries have already done. The book has plenty of info, but could use more photos, graphs, or sidebars. Still would definitely recommend for any elementary or middle grade library. I really wanted to love this book. I think the message is important. But the large bits of text without an exciting layout means that most kids won't even pay attention to this book. Which is a shame. That being said, I hope other grownups read this book. The main idea--that people shouldn't advertise to kids that don't understand the health risks of just eating junk food--is a good one that I hope many grownups will start to talk about. Excellent! Lively, informative and eye-opening look at marketing of junk food and drink to children. Written in accessible language for young readers with examples and situations that will speak to them with well-researched facts behind them. Great suggestions of activities and actions kids can take. As we attempt to teach discretion in print and digital reading, this book makes an important contribution. The topic is timely. The information exposes tactics advertisers use to promote junk foods. Despite colorful illustrations, the book is a bit text-heavy for elementary students. Recommended for upper elementary and middle school audiences. This book would make a great addition to any school library or classroom. The study of nutrition often covers fast food and this takes it one step further. It contains information about the marketing of junk food and just how media promotes this unhealthy life style, and what you can do about it. Interesting in the way it chooses to focus on the /marketing/ side of fast/junk food. A little odd in the way it is choosing to educate about the marketing techniques, but thinks the real way to fix the problem is to outlaw marketing to children. Well...okay. I agreed with everything in this book, but still found it a bit on the preachy side. Really like this author's What's for Lunch but will pass on this one. Wish every school-aged child could read this! Simple, effective and timely. Great for parents as well as the kids. Scary how much this country has sold out to the junk food industry, and how if we took steps like other countries we could win our children's (and our) future back. A great addition to a study of nutrition. The information is good. I did not like the format or visual images that supported the info. For some reason, my library has this in the adult section as opposed to the children's section. It is informative for adults, but it seems to be targeted more towards children and young adults. Andrea Curtis is an award-winning writer in Toronto. She writes for both adults and children. Her first YA novel is Big Water, published by Orca. It's inspired by the true story of a shipwreck on Georgian Bay, Lake Huron, and the harrowing experience of the two teenaged survivors. Her most recent kids' book is Eat This! 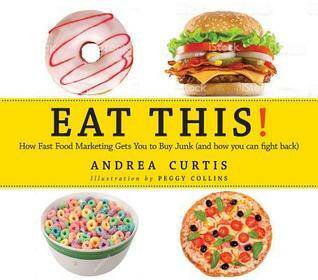 How Fast Food Marketing Gets You to Buy Junk (and How to Fight Back) published Andrea Curtis is an award-winning writer in Toronto. She writes for both adults and children. Her most recent kids' book is Eat This! How Fast Food Marketing Gets You to Buy Junk (and How to Fight Back) published by Red Deer Press. 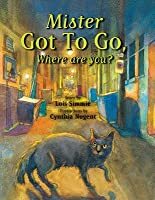 It was named one of the best books of 2018 by both Kirkus Review and School Library Journal. It is a followup to her first award-winning children's book, What's for Lunch? How Schoolchildren Eat Around the World, also published by Red Deer Press. Her most recent adult book, written with Nick Saul, is the National Bestseller, The Stop: How the Fight for Good Food Transformed a Community and Inspired a Movement. It is published by Random House Canada and Melville House Press in the US and UK. It was shortlisted for the Toronto Book Award and won the Taste Canada Award for Culinary Narratives.